June is Alzheimer’s & Brain Awareness Month, and it seems fitting that it occur in the month that marks the longest day of the year. For the 5.7 million Americans living with Alzheimer’s disease and dementia, as well as their caregivers, each day is the longest day as they deal with the impact of this disease. And so often, they face that struggle alone. We need to shed light on the awareness and impact of Alzheimer’s. While many tend to think of Alzheimer’s as an “old person’s disease,” there are approximately 200,000 people UNDER age 65 living with younger-onset Alzheimer’s. So what can you do about it? Educate yourself. Learn the facts about Alzheimer’s disease and what we know about preventing it. Ongoing research shows that lifestyle factors can have an impact on cognitive health. We all know that a healthy diet and regular physical exercise are good for our bodies, and it turns out our brain benefits too. Growing evidence suggests that improved sleep can help reduce your risk as well. Still smoking? Kicking the habit can reduce your risk of cognitive decline. If your exercise regimen includes biking (or rock climbing or skydiving), don’t forget the helmet to reduce the risk of head injury. Keep your brain engaged with mentally challenging activities. 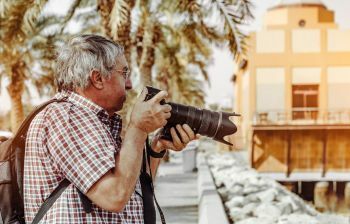 You are never too old to learn something new, so take a photography class, learn furniture repair, or try piano lessons! Keep your social connections strong. Volunteer in your community, join a book club, play in a bridge league, or spend time with friends and family. Finally, learn about the warning signs of Alzheimer’s disease.